You’ve still got time to grab a friend and join me for what I think is the best girls weekend away of the whole year! Two days tucked away beside a lake in the Blue Ridge Mountains sounds blissful as I look at my mountain of laundry and the gaggle of kids telling me their bored (they will regret that in just a minute). 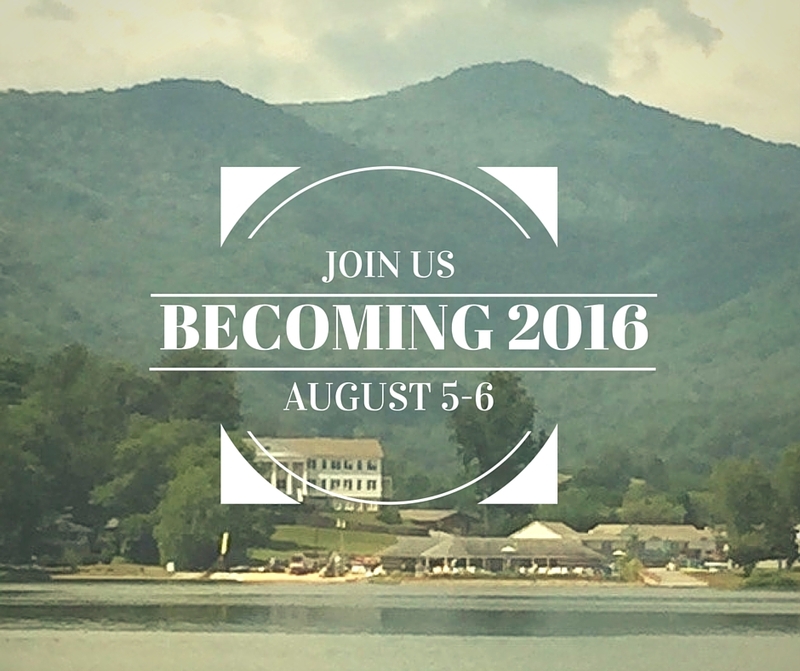 The Becoming Conference is a weekend where we can get away in the beautiful North Carolina mountains and hang out with other ladies whom we may or may not know while we’re encouraged to become more frugal, creative and purposeful. You pick the sessions you want to attend and focus on things that interest you. You can even enjoy some pre-conference hands on fun like learning calligraphy. We have a lot of new and fun things up our sleeve this year too! There are so many fun treats this year that I can’t even decide what to share… lets just say the things you come home with will be worth more than the conference! Girl’s Night In is always my favorite part. This year we are taking over the entire building with so many different ways to relax and be pampered plus we are getting crafty into the night with jewelry, cake decorating and more hands on fun! See the entire agenda with descriptions for all of the sessions of the weekend. There’s still time to register, so grab a friend or two and load up the car for a fun-filled weekend. Another reason you should join us is the pre-conference workshops. This is a chance to get an extra hands-on experience from the weekend’s classes and a more intimate sized group to learn with. These are not included in the conference price, but with all the supplies you get to take home after the class, they are a steal! My girls are wishing I’d let them take Calligraphy.